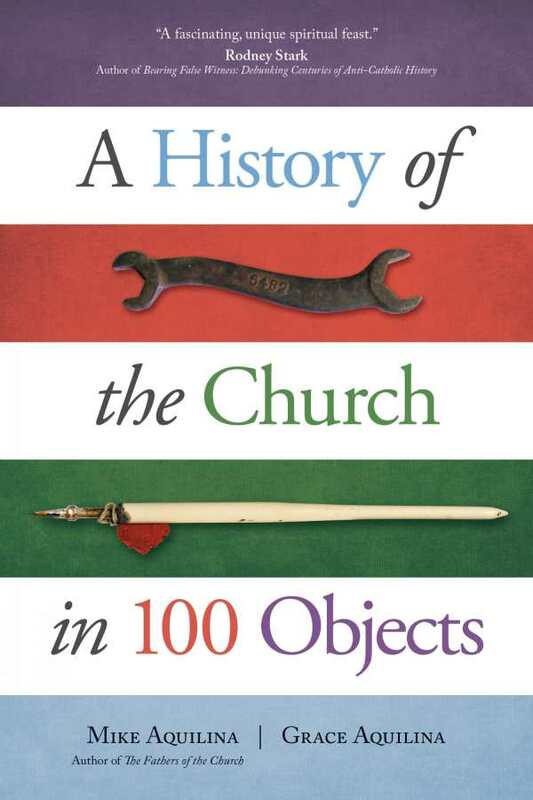 A panegyric to Catholicism, Mike and Grace Aquilina’s A History of the Church in 100 Objects surveys the Catholic Church’s history through its material culture. Declaring that “Catholicism is indeed a religion of ‘stuff,’” this book focuses the story of various objects as foundational in history’s construction as both artifice and artifact. Dividing the book into seven historical eras, the stuff of Catholicism is distributed across the centuries and spans high and low art and culture. An illustrative physical object is the only hard qualifier for inclusion, so the hundred objects are highly varied. Each entry contains an image followed by a few brief, homily-like pages of text that situate each item within a larger historical religious context. This book aims, first and foremost, at Catholic laity. It is transparent in this orientation, and the authors’ approach to Church history is straightforwardly conservative and orthodox. Thus, some items, like saint’s relics, are expected, and the accompanying text skews toward devotional. Other inclusions, like a picture of bells in a bell tower, go unexpected places—in that particular case, to the Magna Carta and the foundation of modern democracy as an outcome of English Catholics rising up against an unjust ruler interdicted by the pope. Often intricate in its connections, world history is shown to be synonymous with Catholic history. Stating that “artificiality is unavoidable, and divisions are inevitable—and helpful,” this book constructs, organizes, and showcases Catholic history and identity from the inside out. Its intimate perspective offers a broad sampling of Catholic sensibility in Western European social and religious history.